An ocassion to raise awareness about how Copyright drains the global economy of resouces, obstruct the progress of technology, constraint the next generation of creative minds, and diminishes the social investment in scientific research; in the quest of prolonging the exhausted life of obsolete business models that were inherited from the time of the industrial revolution, and that are no longer viable in the information age. 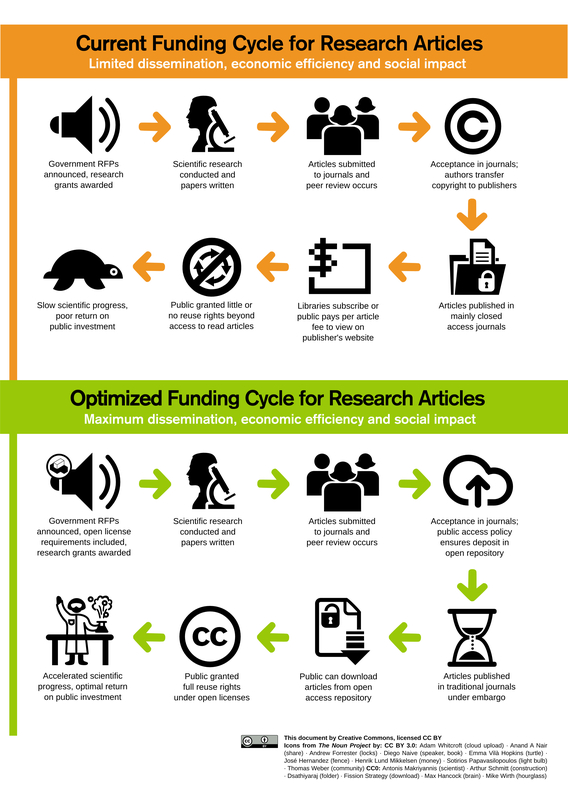 During the Day on Open Access, the Creative Commons blog helped inform the public about the economically inefficient practices of scientific publishing, and why the articles resulting from publicly funded research should be made available to the public. The open license attached to open access publications has enabled innovations that would have been impossible without it. For example, Daniel Mietchen (co-winner of the Accelerating Science Award Program), developed a software tool to crawl and export multimedia files from openly licensed science articles in PubMed Central. The tool has uploaded over 13,000 files to Wikimedia Commons, where they’ve been subsequently used in more than 135 English Wikipedia articles. Join the celebration of Copyright Week, and explore the opportunities around you to share materials and liberate them from the artificial scarcity created by Copyright.